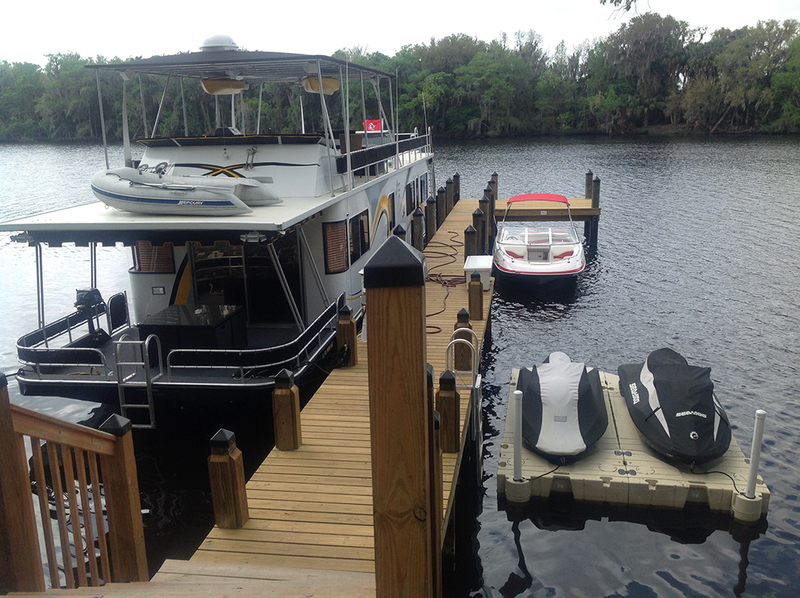 This dock on the St. Johns River was actually a renovation and addition to an existing boat dock. 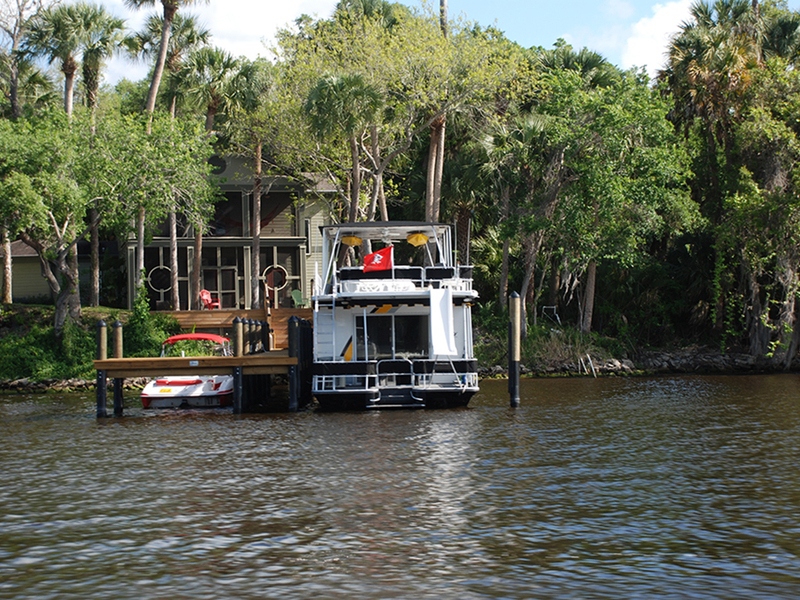 The customer had several watercraft and then purchased a 55’ houseboat. The boat dock that Fender Marine designed and constructed was built to withstand the loads exerted upon it from the houseboat. Fender Marine also installed mooring pile beside the houseboat. 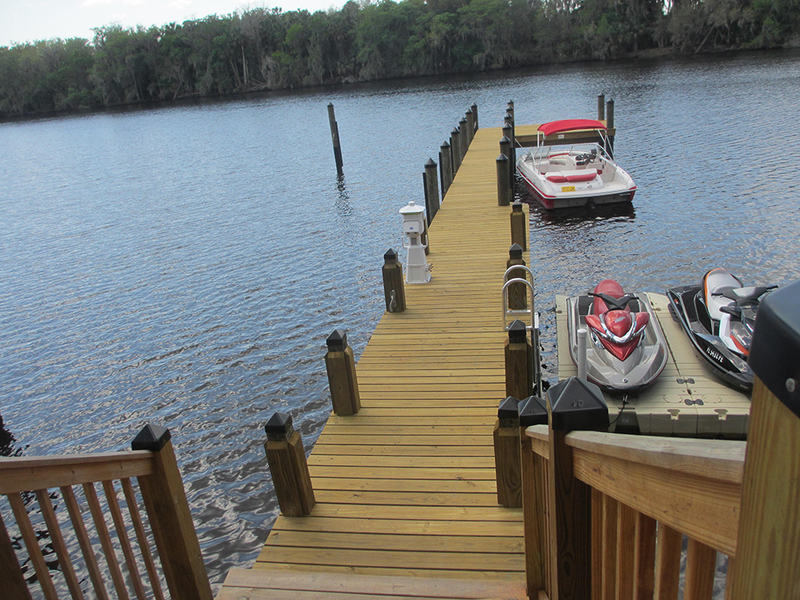 The dock’s decking was #1 eased edge #1 Southern Yellow Pine and was screwed into position. The water at this boat dock was very deep and the current was strong, so we utilized our spudded barge to set the marine piling for the marine construction project. The customer is happy with his houseboat still moored to the Fender Marine dock.